Until February 2018 widcombewest was an officially constituted community group. Because we held a bank account, we were required to elect officers and hold an annual AGM. This year instead of the AGM we held an Extraordinary General Meeting to address issues concerning widcombewest continuing in its official capacity. The meeting was held primarily to deal with the proposal to discontinue widcombewest as a formal organisation with a constitution, elected officers and an audited bank account, due to the difficulty in finding local residents willing to stand for office and fulfill the requirements of the constitution. It was also proposed that the widcombewest bank account should be closed and the cash funds held by former treasurer Annette on trust, provided that an annual reconciliation of funds be informally presented to supporters. 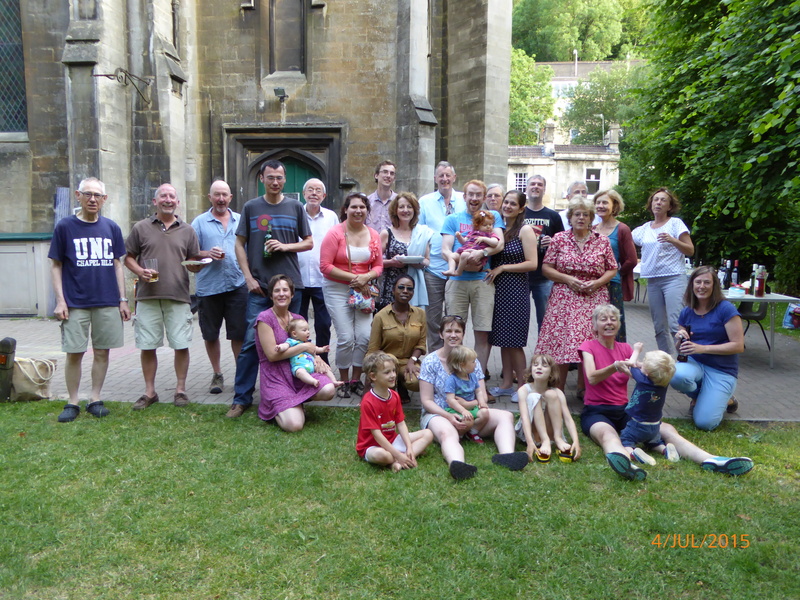 These proposals were passed unanimously, so widcombewest is now simply an informal group of local residents who are happy to get together for social events and for helping to keep our area of Bath looking good. We don’t charge subscriptions or have official membership. Interested residents can enroll on our mailing list for regular updates, and anyone is welcome to join in our activities. The modest funds needed for publications, printing costs and so on are raised by the occasional raffle at social events. The core widcombewest team hasn’t changed but now we no longer hold any official constitutional roles. Once again this year widcombewest residents are organising a summer social event in the garden of St Mark’s Community Centre. Everyone is welcome and entrance is free! Please bring some food for the barbecue and whatever you like to drink. Any extras for sharing eg salads, nibbles, will always much appreciated. Some live music will be provided, and a raffle will be held for charity. Above all, this will be a great opportunity to relax, socialise and meet your neighbours. Donations for the raffle will be welcome! Please bring on the day or contact Helen at 28 St Mark’s Road hpeterwidcombe@gmail.com. Any other queries regarding this event please contact Gordon gordon@penbryn.com at 4 St Mark’s Road or Annette vanmaurik54@gmail.com at 4 Lyncombe Hill. This year’s Open Garden Event was a huge success. Eight local residents within widcombewest kindly allowed us to see how small town gardens can be made attractive, colourful and a pleasure to be in. Many thanks to you all for kindly inviting widcombewest supporters and local residents to view your gardens, take some refreshment and have a thoroughly enjoyable evening in such lovely weather. Your participation is much appreciated by all the visitors, who numbered over 40 this year. If the trend continues we shall need larger gardens next time! Special thanks to Ruth for hosting everyone at the end of the tour and into the late evening, despite her crack of dawn start the next day. Many thanks to everyone who turned out for Day 1 in March to help kick start the cycle shelter project. 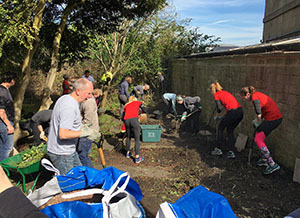 We had a really successful weekend of clearing and making the site ready for a secure community bike store at St Marks Community Centre. Day 2 of the bike store build is this weekend 8/9th April. The main build will be on Saturday with Sunday currently penciled in should we overrun. We need willing volunteers that can help for a couple of hours, especially any with electric screwdrivers. There will be some lifting, possibly more ground clearing and the decking to construct so there’s plenty of work for all abilities! We are also planning a BBQ, refreshments for all and guaranteed sunshine! Look forward to seeing you all on the day – we will be starting around 10:00 am.